On October 19th 2015, professionals and officials working with and for children on the move, academics, and NGO stakeholders from 11 European countries attended a Round Table Meeting in Brussels, that served to share and reflect upon the final research results of the EU-funded project ‘RESILAND – Participation, capacities and resilience of children on the move against trafficking and exploitation’. The RESILAND project was implemented by the Family and Childcare Centre – KMOP (Greece), Defence for Children International (Italy), CESIS - Centre for Studies for Social Intervention (Portugal), and Hors la Rue (France) over a two-year period, from November 2013 to October 2015. Throughout the project, 150 children on the move participated in creative workshops in the four countries. In these workshops, the children developed a meta-story of an imaginary character named ‘Resil’ who departed from his place of origin towards new destinations. The workshops were organized as narrative sessions with the objective to enable and encourage the children to identify risk and protection factors during each phase of migration. 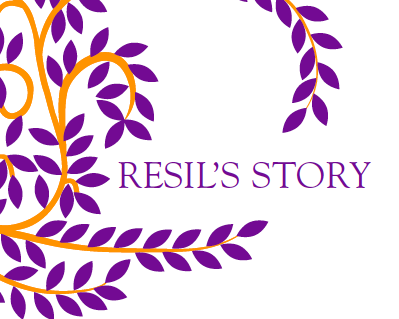 The children projected their own experiences, hopes and aspirations into Resil’s story as well as difficulties and bad things that they or their peers have experienced on the way. In parallel to the activities with children, the project involved 150 professionals and officials working with and for children on the move in the four participating countries. An additional 60 professionals participated in the two specialized seminars in Genoa and Athens. Together, these professionals and officials informed the process and approach of RESILAND. The RESILAND activities and outputs were showcased and discussed at the Round Table Meeting in Brussels. Specific issues that were addressed concerned aspects with regard to strengthening the participation, capacities and resilience of children on the move as a key investment for their protection from trafficking and exploitation. Concurrently, the meeting focused on issues pertaining to the enhancement of EU strategies in the field, put emphasis on policy implications, capitalized on the scientific work of the RESILAND project and provided the space to discuss how project outcomes may lead to improved national child protection systems. Important input to the discussion was provided by the two main scientific outputs of the project, namely the RESILAND Safety Map and the booklet on Orientations for Professionals. The Safety Map is an illustration work that builds on the meta-stories developed by the children within each project country. In the Safety Map, Resil speaks directly to children on the move, shares his own experiences and gives hints and advice about possible risks and sources of protection that children on the move might face at any stage of their migration. The narration that emerges can be of some help and encouragement for children like Resil who left home and travelled to a new world and a new life facing difficulties, challenges, opportunities and adversities. In connection with the Safety Map, a booklet on the Orientations for Professionals was developed by the RESILAND team. The booklet translates the perspectives shared by the children into a series of orientations that speak directly to professionals and officials involved in case assessments, case management, care planning and investigations. They encourage professionals and officials to actively use their social skills, empathy and human capacity in any interaction with children on the move. They invite professionals and officials to relate to the child first and foremost as a person, irrespectively of the child’s status as a migrant or asylum seeker. During the meeting in Brussels, the RESILAND video was also presented where participants had the opportunity to familiarize themselves with the RESILAND approach and the main techniques and tools utilized during the project.